This morning’s walk with Wally was a warm one, although I was a little later than usual. It was 10am and already 17 deg up here in the Algarve Hills. 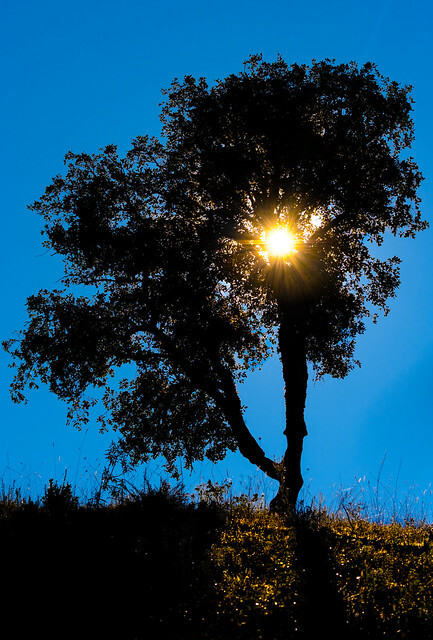 I stopped briefly to admire the views as I headed up Eagle Ridge (some of you who come on my walks will remember this ridge) and snapped this picture of the sun shining through a Cork Oak.